Take a stroll back in time to mysterious ancient Egypt, an experience that most would turn away from in a heartbeat if given the opportunity somehow. The fear of not knowing which obstacles you may face as you enter the premises of the dreaded mummy’s is bound to leave any human petrified. But if you can block out your fears, we have an absolute classic of an Egyptian themed Jackpot slot. Boasting a limitless Jackpot that will leave you frothing at the mouth. So, it’s time to enter the harrowing pyramids if you’re brave enough and let the adventure unravel! Check our homepage for tips on how to play online slots! Online gaming production companies always need inspiration when creating new games and we can safely say that they all look to the success of Eyecon. Eyecon is like that super-fast horse that you’d always bet on to win the race, miles ahead from the chasing pack. The quality of their games really is second to none, this is complemented by their never-ending creative ideas and the understanding of their players and what they wish to play. Eyecon really is all about making the nature of their games just that little bit more gripping which is inevitably why they are winning the race. Temple of Ausar really is a great example of this, a game which has an ancient theme that has a purpose and reality feel for those who play it. Have a look at more games that this developer offers here at Wizard. The game itself is more Egyptian than Egypt itself! All the symbols in the game each represent a significant part of ancient Egypt. These are snakes, emperors and the Eye of Horus, with many more! The shiny gold really does emphasize the theme of the game, giving it a rich feel and the piercing blue that accommodates the gold with the colourful symbols so well. This really does make for pretty viewing, but then again what else would you expect from Eyecon? 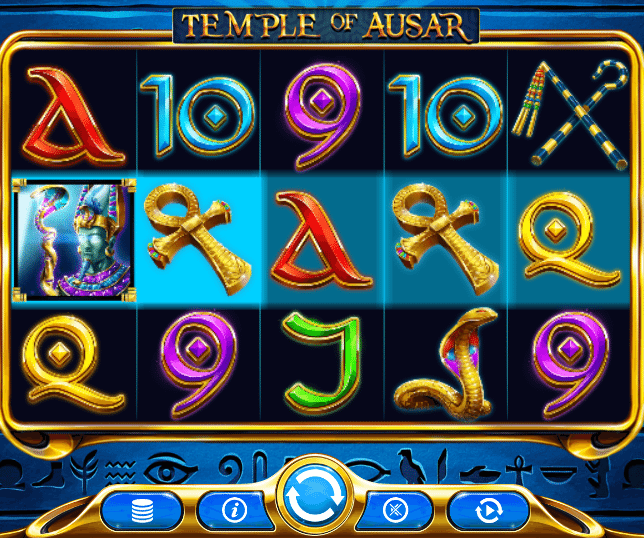 Temple of Ausar Jackpot is a 5 reel by 25 pay lines slot, a simplistic game to play. All the classic features are included in the game as you would expect, scatter symbols, wild symbols, multipliers and free spins to keep you on the edge of your seat. For players looking forward to playing the best slots, check our guide and read here. The stake range for this game is 25p to £12.50, a low betting range that may be more suitable for those who are new to online slots and don’t wish to stake as much. Though if you are more experienced in the online slots industry £12.50 per stake isn’t too shabby either, for a game that is action packed to the brim of the pyramid! We love this one by Eyecon, a very high-quality game that enables players to step foot into a world of the unknown and darkness with an opportunity to spin their way to incredible cash prizes. The excitement of the game really is brought by the fantastic symbols used, which all mean represent a clear Egyptian style. 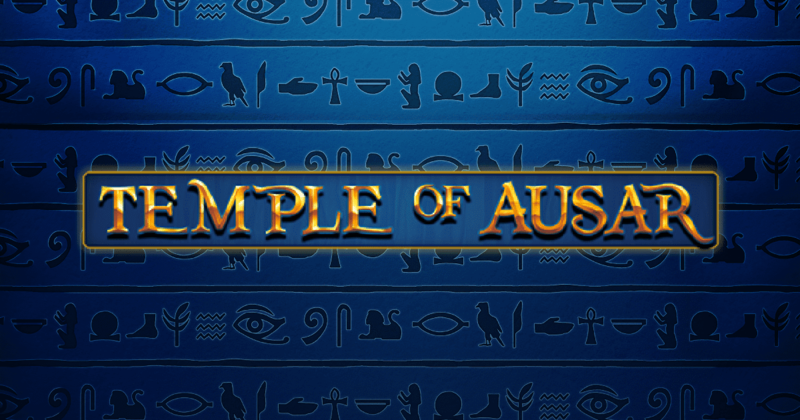 If you haven’t played Temple of Ausar yet be sure to check it out! 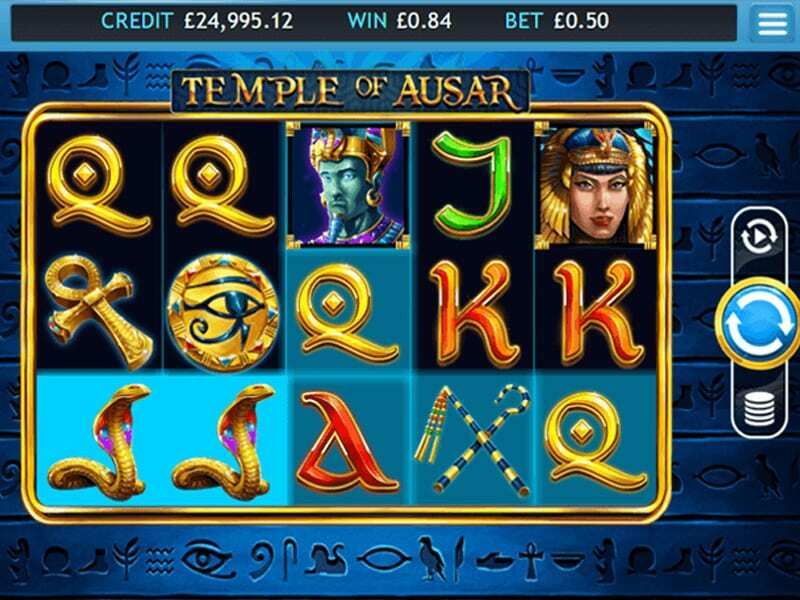 If Temple of Ausar Jackpot was up your street, we have a feeling that Twinkle Jackpot will be too.